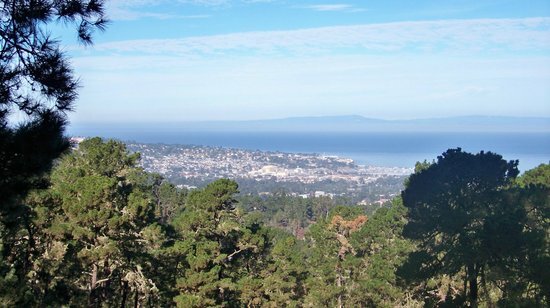 Jack's Peak is one of the most beautiful and remote parks located on the Monterey Peninsula. Just off of Highway 68, you drive up into the hills until you reach the gate to this lovely, wooded area. Each car that passes through (including wedding guests) is required to pay a $5 entrance fee. Although most of the park is made of hiking trails and small gathering places, the Monterey Pines area is perfect for a rustic wedding. Off of their main driveway is another entrance way to a parking lot and a large forested area that includes a huge barbecue pit, 9 long picnic tables and several places where an arch can be placed for a wedding ceremony. The area allows up to 50 guests and the rental fee is only $70 (plus the entrance fees). This is a great spot for a more casual, fun, scenic, quiet wedding where the reception is held on site.